Back in 2012 we built a custom mini-ITX gaming PC that featured an Intel Ivy Bridge processor, Intel Z77 motherboard, NVIDIA Kepler GPU, SuperSpeed USB 3.0 and water cooling. The original build cost on our system in 2012 was $2600, so it was a high-end build using some of the best components available at the time. After that build article was done we used it for a gaming PC for a short time and then pulled out the video card to save power and have been using it for an office PC ever since. A quick look at CrystalDiskInfo shows that we’ve racked up nearly 16,000 hours and have written 230 Terabytes of data to the original Kingston HyperX 5K 480GB SSD. More impressive is the fact that the Kingston HyperX 5K SSD shows that it still has 100% of its life left! In fact, not one component we selected and used in the build has failed in the 3+ years that the system has been in service! Despite the system still performing exceptionally well we have been wanting to update it now that faster more power efficient processors are available. The Intel Core i7-3770K ‘Ivy Bridge’ quad-core processor is still a very capable CPU today, but it does show signs of weakness in certain tasks and one of those is 4K video playback. This is because the Z77 platform doesn’t even support 4K video output with integrated graphics. Our Intel Z77 board supports HDMI and DVI with max. resolution of 1920 x 1200 and then DisplayPort with a max. resolution of 2560 x 1600 @ 60 Hz. The new Intel Z97 boards do support 4K video output and that is a must as we move to 4K displays in the office. The Intel Core i7-5775C ‘Broadwell’ quad-core processor has the most powerful integrated graphics solution ever released by Intel for the desktop market, so it will be interesting to see how4K video performs on the new platform. We’ve also been wanting to move away from SATA and 2.5″ notebook drive form factor and embrace PCIe express and the M.2 form factor for faster, smaller and cable free storage. The Corsair AX650 power supply was one of the very few 80 PLUS Gold certified power supplies available in 2012, but here in 2015 you can find some companies offering more efficient 650W 80 PLUS Platinum power supplies. CPU Cooling technologies have also advanced since 2012 as Asetek and others have released a new generation of cooling technologies. Then to top it all off you have new SuperSpeed+ USB 3.1 devices that are just now trickling into the market and we want to have a system that supports the latest features. While some hardware components have seen advancements over the years there are other areas that haven’t really advanced. 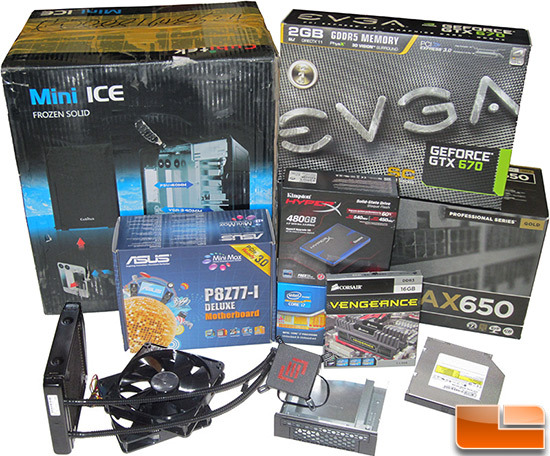 We still love the Cubitek Mini ICE ITX Case, but unfortunately the company went belly up in 2013. The market has been flooded with Mini ITX cases since 2012, but they’ve gotten larger and we don’t want a bulky case for a Mini ITX build. DDR3 memory kits also haven’t changed much since 2012. The Intel Broadwell processor supports DDR3L (Low Voltage 1.35V memory), but we checked with Kingston, Corsair and others and they only make DDR3L memory for desktop platforms that runs at up to 1600MHz. You can’t get an enthusiast 16GB (2x8GB) DDR3L memory kit from any company at 1.35V that is running at 1866MHz or higher, so we just kept the kit we had. By re-using the case, peripherals, secondary storage drive, operating system and memory kit we were able to help keep the ‘update’ costs down. So, what did we end up going with? 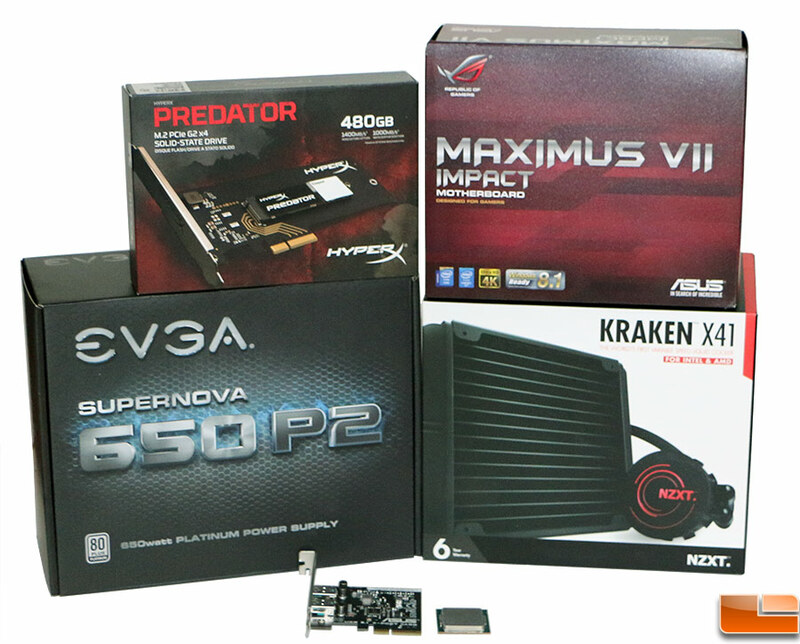 The 2015 update of our ‘Dream Mini ITX Build’ runs just under $1330 shipped for all the parts. Not a low budget update by any means, but toss in a case and memory kit and you can easily duplicate the core system build here for $1500. We know that Intel Skylake and a whole new platform is due out next month, but the Intel Core i7-5775C processor should have all the Skylake processors beat when it comes to integrated graphics performance. That is because the Intel Core i7-5775C processor has 128MB of eDRAM and Intel Iris Pro Graphics 6200 with 48 execution units. The Intel Core i7-3770K processor has no eDRAM and Intel HD Graphics 4000 with just 16 execution units. Let’s take a closer look at the components we picked and then move along to the build and finally the performance numbers!